Leave the crowds behind – embrace the open skies on these Wyoming ranches! There is no place like Wild Horse Ranch! Wyoming ranches for sale near Laramie border or are near the shores of Lake Hattie and the spectacular Medicine Bow National Forest, this privilaged piece of land is sure to appreciate. Wild Horse Ranch lies in the shadow of Sheep Mountain whose steep, tree-lined foothills are a home to hundreds of deer, elk, antelope and other wildlife. The cool pines make their way to grassy, rolling hills and dramatic panoramic vistas. 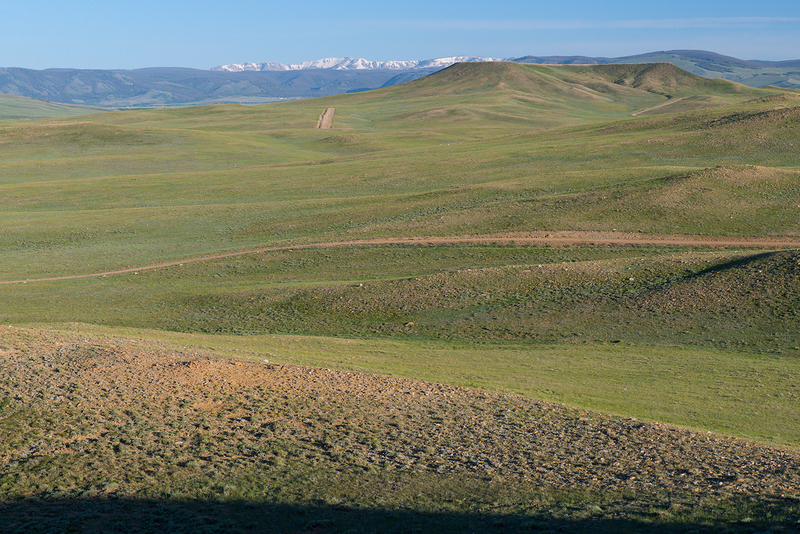 Our Wyoming ranches for sale encompass some of the most desirable land in the state. Don’t miss this opportunity to change your life and discover the serenity of Wild Horse Ranch! Take I80 West, then take Exit 311 (Snowy Range Rd./WY-130/WY-230) and turn left. Continue 0.3 miles and merge right onto Hwy-130 (Snowy Range Rd) and continue 18 miles. The Wild Horse Ranch main gate will be on your left, near mile marker 18. Secluded parcel with great views of the Snowy Range to the North. Electric Power. Wild Horse Ranch is a vast and picturesque ranch outside Laramie, Wyoming. In all its splendor, it stretches for miles and miles with rolling hills of lush, green grass that lead to the base of the Medicine Bow Mountain Range creating a majestic backdrop. At Wild Horse Ranch, property owners enjoy many conveniences and amenities. Owning ranch land at Wild Horse Ranch affords property owners the rural lifestyle while still living minutes away from the conveniences of the city of Laramie. Voted as one of the best cities to retire by Money Magazine in 2011, Laramie is a prosperous city located in the southeastern portion of the state that offers low property taxes, no personal income taxes, a great climate and with so many other benefits for its residents and property owners. Laramie is home to the University of Wyoming and hosts some of the West's favorite festivals including the Jubilee Days Rodeo and the Snowy Range Music Festival. There is no better place to settle down and live an ideal life with lots of land and clean, fresh air. Wild Horse Ranch has various financing plans with interest rates as low as 7.9%. All our plans require a minimum of 10% down payment, with no qualifying! You can buy down your interest rate by putting more down or financing over a shorter term. Discounts are available for multiparcel purchases, military personnel, or cash sales. Learn more about Wild Horse Ranch! Surround yourself with pine covered mountains, grassy rolling hills, fabulous panoramic vistas and great backdrop views of the Snowy Range. All of our Wyoming ranches for sale near Laramie have the perfect setting for the unspoiled countryside. With every breath of fresh, clean air, you'll know that this pristine ranch property is for you - especially since it has been thoughtfully master-planned to exist in harmony with nature and wildlife. The Wild Horse Ranch is conveniently located just 15 minutes west of Laramie, Wyoming in Albany County, and offers country living with full-scale cities nearby. 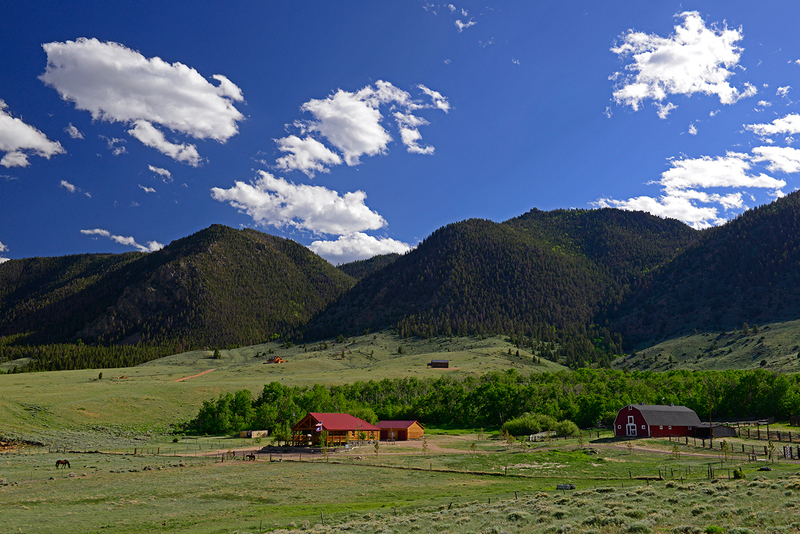 Most importantly, Wild Horse Ranch encompasses the best of Wyoming. It offers easy access to an abundance of recreational activities including fishing, hunting, skiing, biking, rodeo competition events and much more. This is an ideal location where land values are sure to appreciate. In addition, all roads are constructed within recorded easements which provide you permanent legal access to your property. The average elevation at Wild Horse Ranch is approximately 7200 feet. What Is The Average Temperature Throughout The Year? This scenic ranch property is approximately 15 miles west of Laramie, Wyoming, 63 miles west of Cheyenne, Wyoming, 59 miles north of Fort Collins, Colorado, 113 miles north of Denver, Colorado and 123 miles from Steamboat Springs, Colorado. A qualified surveyor registered in the State of Wyoming has accurately surveyed all of the individual ranch properties and recorded a survey within Albany County. All property corners are clearly marked. In addition, bladed, crowned and ditched roads provide access within the property. This includes recorded easements which provide you permanent, legal access to your property. Most ranch owners feel that Wild Horse Ranch is a good opportunity to own a very scenic and very large, yet affordable piece of Wyoming. The unique proximity of this property to Laramie will allow owners to enjoy a country lifestyle while living just minutes away from all the amenities a city has to offer. Some owners plan to make their property into a second home or recreational retreat or getaway from the hustle and bustle of the big cities, while others plan to move to their ranch property after retirement. Many plan to pass it down to their children or grandchildren, while others plan to possibly subdivide the property at a later date, keeping some acreage and selling off the rest. Many of the property owners also plan to utilize the property as a permanent home, particularly given all tax advantages Wyoming has to offer. Wild Horse Ranch is ready for you to build your dream home or just sit back and enjoy the good feeling of land ownership. Can I Further Subdivide My Property? In order to subdivide any parcel into one or more parcels of less than 35 acres in size, it is necessary to comply with subdivision laws and obtain approval from Albany County. All property owners must comply with Albany County subdivision and zoning regulations and requests must first be presented to the County Planning Commission for approval. If you have any further questions, please check with the local Albany County Planning Department. Currently, the covenants do not allow for any future divisions below 10 acres in size. Currently, there is some electric service readily available to some of the parcels on Wild Horse Ranch. However, utility easements have been established throughout the Ranch to allow for the future extension of electricity along the parcel boundaries. Most likely, over time through immediate demand, power will eventually piggyback its way through the ranch. People wanting alternative power can also use propane gas and/or generators for refrigerators, cooking and heating purposes. Solar and wind power technology is also an excellent alternative form of energy. Waste water disposal for all ranch parcels is achieved by individual septic systems. Further information about utilities and who to contact can be provided upon request. The zoning at Wild Horse Ranch is currently Agricultural-Residential. Currently, the approximate annual property taxes on a 40 acre ranch parcel at Wild Horse Ranch calculate to approximately $575 per year. While there is no guarantee of profit from any land sale, history has proven that the prices of all our ranch properties have increased every year. We believe there are many reasons for this upward trend, including inflation, population growth, a decreasing supply of land, the public's desire for larger space in a more natural environment, a trend toward the movement away from urban areas and the increasing popularity of outdoor recreational activities. We believe the sales prices will continue to increase due to supply and demand for this type of a lifestyle and recreational property. The Developer has established Wild Horse Property Owners Association (WHPOA) in an effort to help protect the natural beauty and to enhance and help protect the future value of all the ranch properties. The Seller/Developer of Wild Horse Ranch has recorded some thoughtful protective guidelines, i.e. Covenants, Conditions and Restrictions (C.C. & R.'s), which are readily available for review upon request. The main purpose of the association is to maintain the roads and any common recreational areas within Wild Horse Ranch. Continued maintenance of all the access roads within the development will allow all Property Owners good access to their parcels now and in the future and help to enhance and preserve property values. The Association currently has dues annually of $701 per ranch property. The dues cannot increase more than 10% per year to meet the needs of the Association without a majority vote of all the Property Owners. A ranch buyer is never obligated to build anything on their ranch property—under any time frame. However, if someone chooses to build a home, there is a time frame once construction begins until completion. This is further outlined within the Protective Covenants. The ranch properties have been priced according to our "A B C" analysis and consideration of the proximity of the parcels to existing electric. "A B C" stands for Access, Beauty and Character. In other words, how good, quick or easy is the access to the property from the main highway or county road. The beauty of the property mainly pertains to the vegetation on the property and the scenic views enjoyed from the property. The character of the property refers mainly to its topography. For example: Is the parcel flat, gently rolling, steep, etc? The Ranch offers a total of 370 parcels. However, the exact number of parcels available is changing daily or weekly because the demand continues to be so strong. Currently there is still a good selection of scenic ranch parcels to choose from. We encourage you, for the best selection, to visit the Wild Horse Ranch as soon as possible. At this time, the developer/seller is paying all the closing costs as well as the Title Insurance premium. There are absolutely no other hidden or additional costs. Is There A Penalty For Paying Off My Ranch Property Early? There is absolutely no prepayment penalty. Your monthly payment is applied to your account balance using simple interest on the unpaid balance. Any and all extra monthly payments will be applied directly to the principal. All extra payments will directly lower your balance, reducing the overall interest you pay on your purchase. You should receive your payment booklet from the title company within 4 to 6 weeks after your purchase. A 10% minimum down payment is required for our no-qualifying, guaranteed financing. A credit application is required to be filled out, but there is no further qualifying involved. What Is The Closest Major Medical Facility? The closest major medical facility is located in downtown Laramie. Ivinson Memorial Hospital. Phone: 307-742-2141. Website: Ivinsonhospital.org. If I Take A Ranch Tour, Will I Be Pressured To Buy That Day? Absolutely not! At Brooks Realty and Advisory Group our "no pressure" policy is always in effect. Our prime scenic ranch properties do all the selling needed. We won't be hounding you to buy. Our friendly ranch representatives are always available to take your call and answer any questions you might have and we welcome those calls. Be assured you'll always be treated with respect and there will be absolutely no pressure to buy. References are also available upon request. If you have any further questions about the Wild Horse Ranch, please don't hesitate to give us a call and one of our friendly ranch representatives will be happy to assist you. We look forward to introducing you to the Wild Horse Ranch!